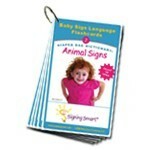 The Signing Smart Basic Starter Kit is designed to help both parents and children discover the wonders of signing through Signing Smart's research-proven strategy-based approach to using ASL signs with hearing children. 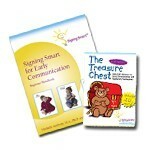 The Signing Smart for Early Communication: Beginner Handbook will teach parents or caregivers the Signing Smart Start and the Four Keys to Signing Smart Success, giving parents research-proven tools and strategies to integrate signing into family life. 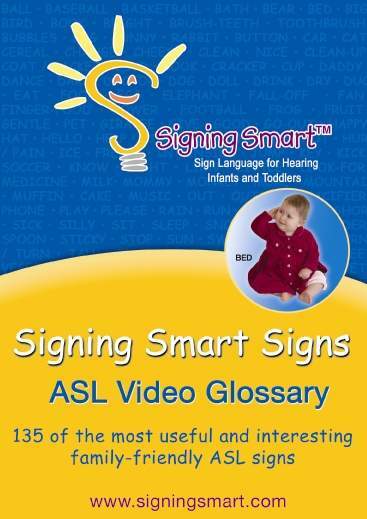 The Signing Smart dictionary is easy to use, with more than 100 photos and descriptions of family-friendly ASL signs. 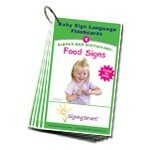 As an added bonus, the dictionary contains photos of babies and toddlers producing each of the signs, so parents can get a sense of what children's versions of any given sign might be! Our award-winning children's video, The Treasure Chest: Toys and Signs, will engage and motivate children to communicate and interact in entirely new ways. 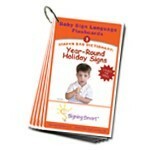 What a powerful and wonderful way to support you and your child on your road to early communication, enhanced intimacy, and long-term learning! 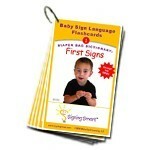 The Signing Smart Basic Starter Kit is a perfect baby shower, new baby, or first birthday gift!